Twitter campaigns matter. Which is why being well-versed in Twitter is critical for campaign success. Twitter gives you the opportunity to engage in conversation with your supporters on the issues as well as mobilize your advocates to take action. 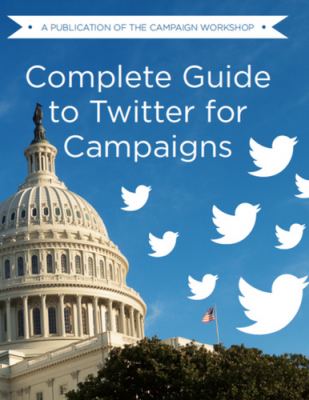 Check out our eBook to learn the tricks of the trade for how any sized campaign can harness the power of Twitter. Want to download this eBook? Fill out our form and check your inbox!